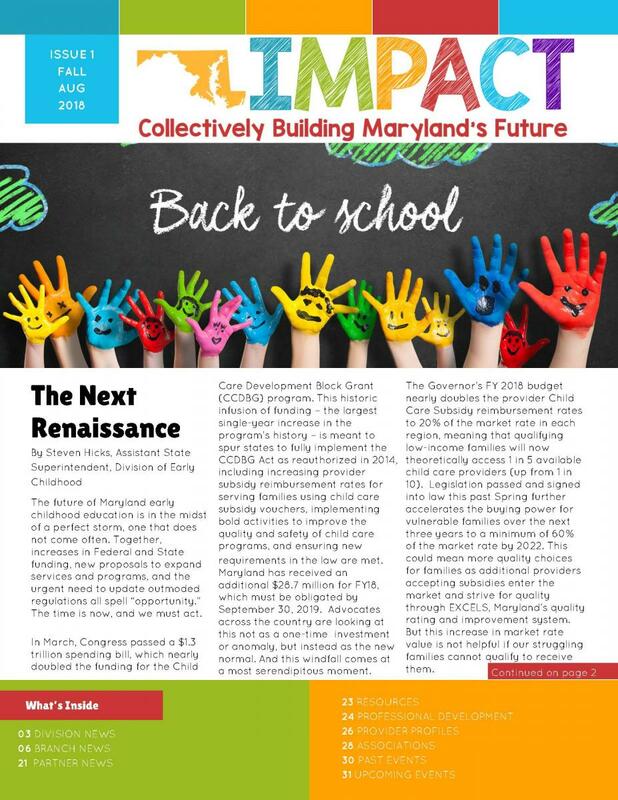 IMPACT will debuted in Fall 2018 and replaced PARTNERS. 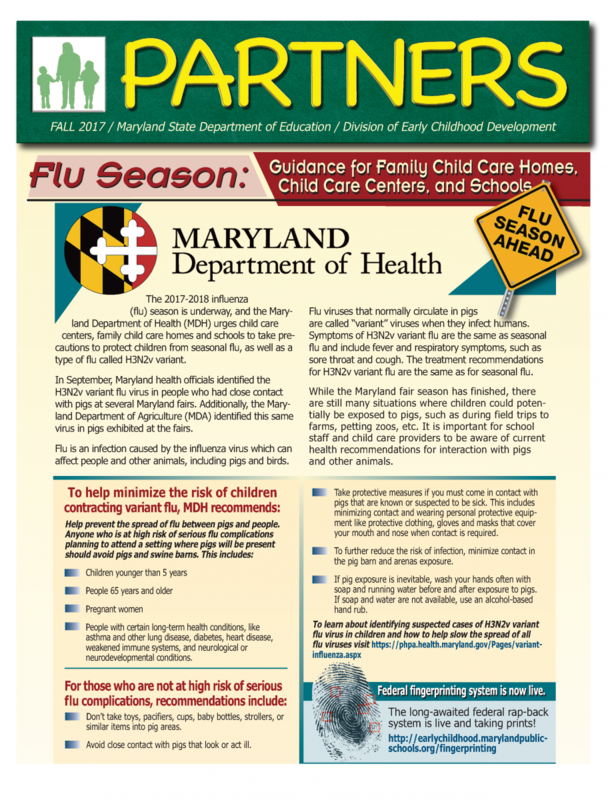 It will feature a new look and new sections including, provider profiles and free advertising space for partners and associations. 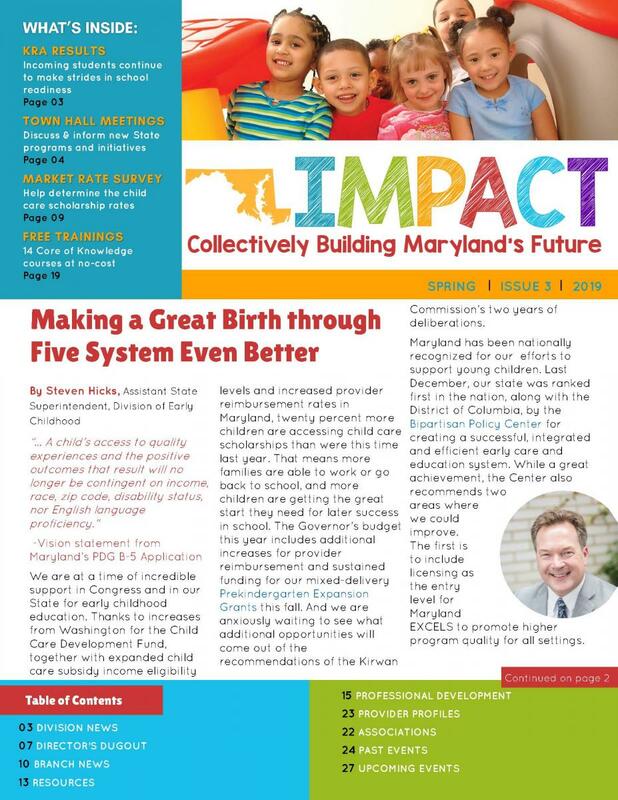 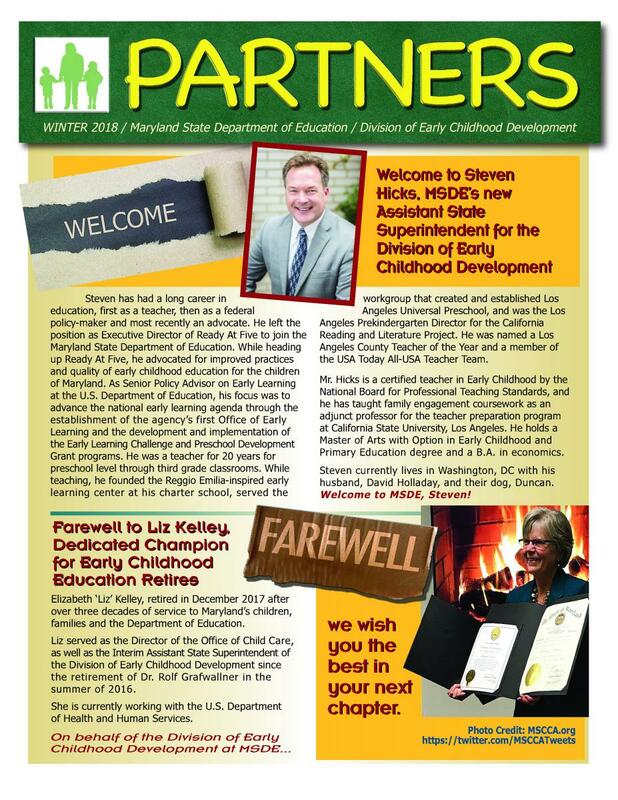 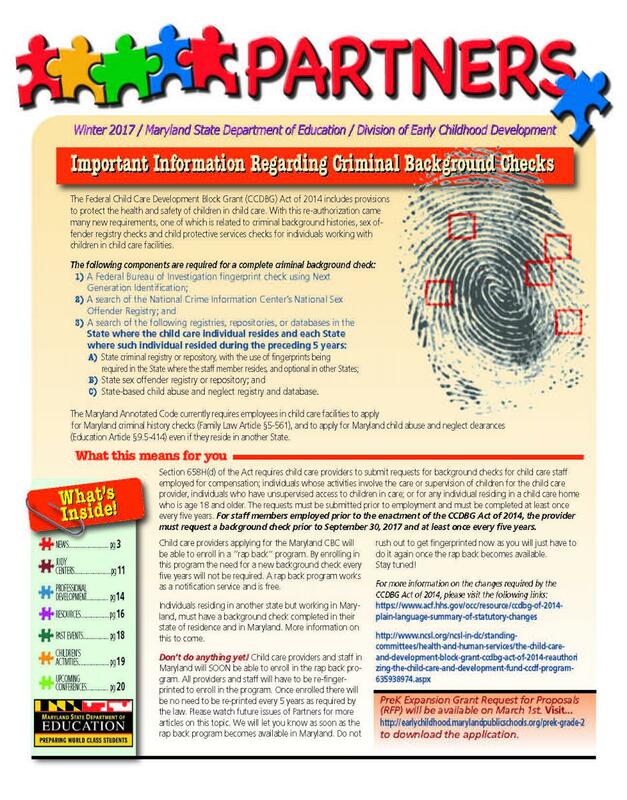 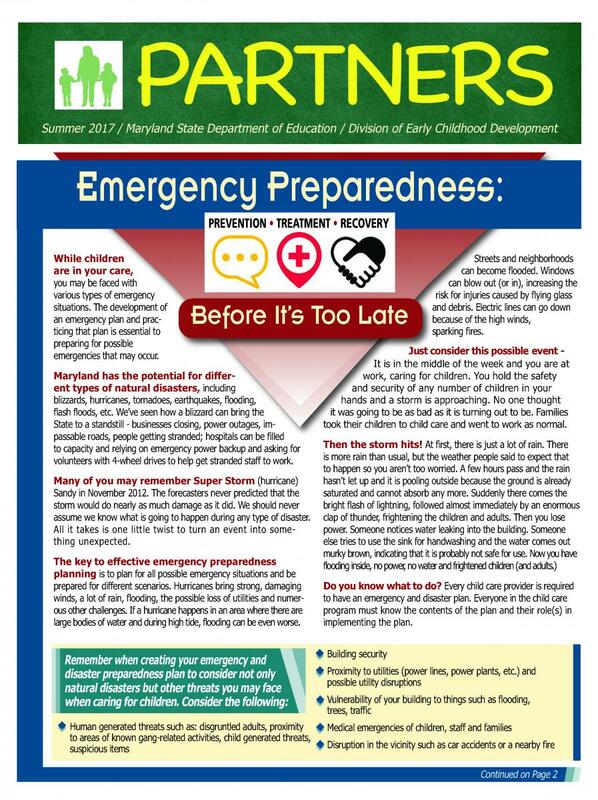 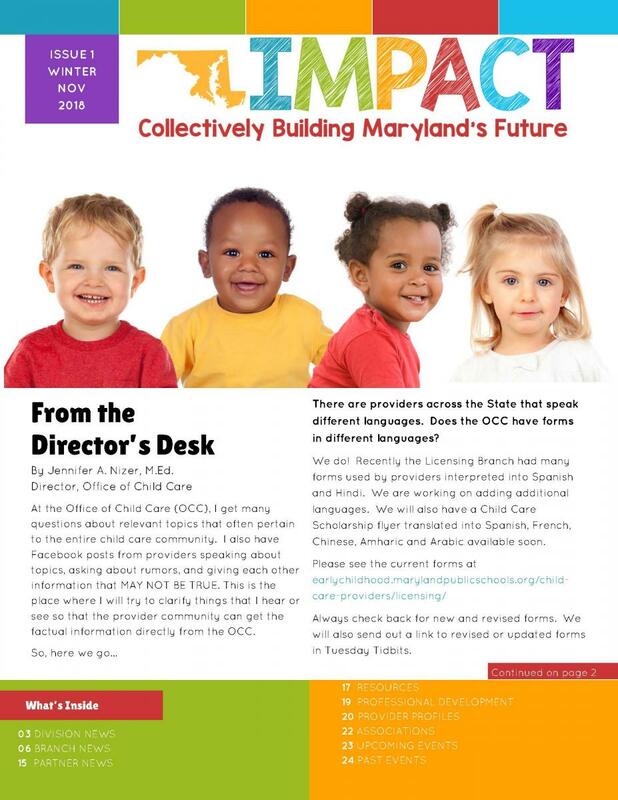 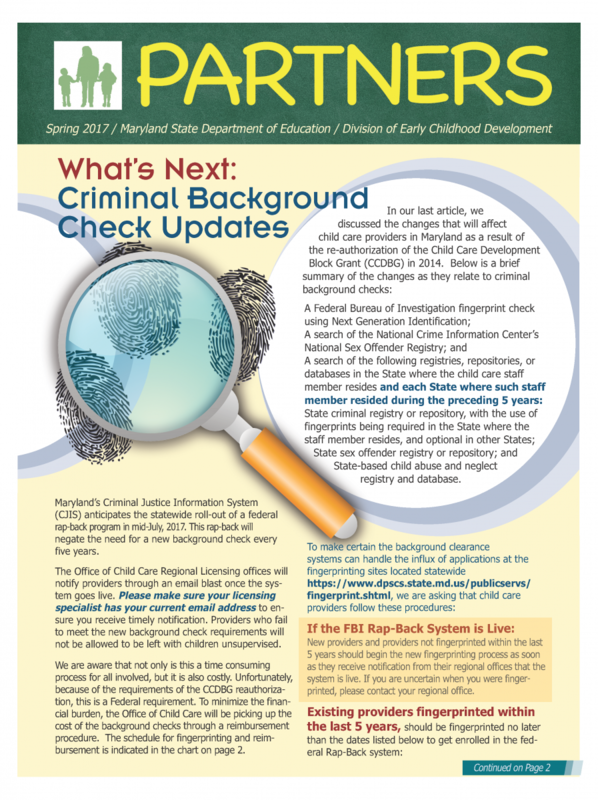 If your organization is interested in sharing news and developments with Maryland's child care community through the PARTNERS Newsletter, please send proposed entries to alexis.washington@maryland.gov.